…in which I opine on a downtown Phoenix dog park and express dismay over the tenor of the dialogue. 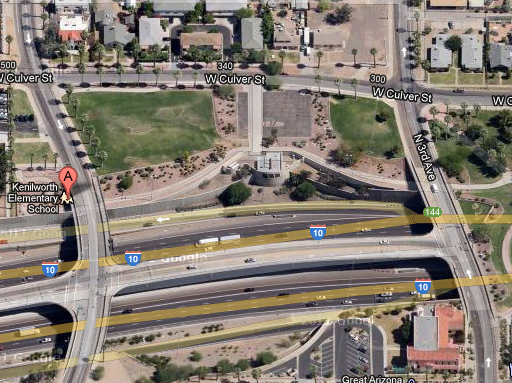 I’m finished opining on the downtown Phoenix dog park. Everyone has a right to their own opinion. I enjoy hearing the different thoughts that come out in the dialogue and I’m amazed by the diversity of ideas produced. But I have become distraught at the tenor of the conversation. It appears like there are groups of people who are so entrenched in their viewpoints that they fail to consider other opinions. I’m not saying that one side is right and the other is wrong. I am saying that it is only fair to have a reasoned and rational discussion among all sides about the dog park issue. Personally, I believe that there are more important things to downtown Phoenix’s renaissance than siting a dog park. We need to consider our downtown’s macro issues, being mindful that these are the things that make a downtown truly great: arts and culture, affordable housing, community building, good design, sustainable transportation, social equity, historic preservation, a diverse economy, strong neighborhoods, vibrant public spaces, and solid planning. While I’m sure that organizations with which I’m affiliated (like Downtown Voices Coalition, the Hance Park Conservancy, and others) will weigh in on this issue, it is my hope that the debate is civil. I, personally, am finished weighing in on the dog park. My priorities are based on that list above.